Construction activity in Kuwait was weak in 2017, following the economic slowdown and low oil prices, which resulted in a deteriorating business environment. In addition, the government decreased its oil production capacity in 2017, in order to meet the output target of the Organization of the Petroleum Exporting Countries (OPEC). 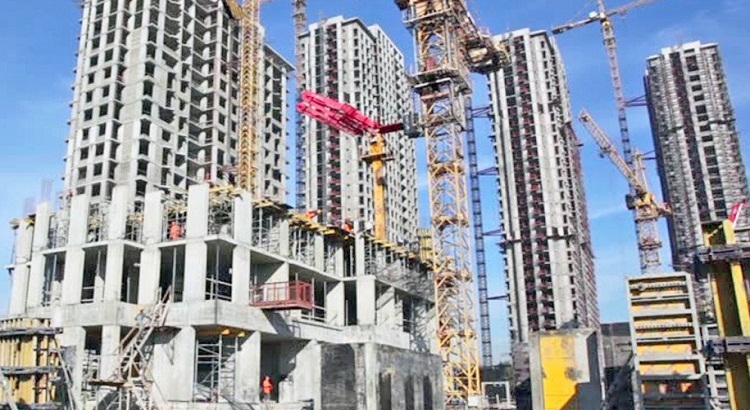 This resulted in lower government revenue, which in turn reduced its spending on large infrastructure projects; consequently, the country’s construction industry contracted by 3.5% in real terms in 2017. The industry is expected to post positive growth over the forecast period (2018-2022), supported by the recovery in oil prices and increased production volumes, as well as investment in government programs such as the Kuwait National Development Plan (KNDP) 2035 and the Five-Year Development Plan 2015-2020. In 2017, the government launched KNDP 2035 to develop the country’s transport infrastructure, healthcare facilities, housing, education facilities, energy infrastructure, waste water management systems, ports and airports. In real terms, the industry’s output value is forecast to rise at a compound annual growth rate (CAGR) of 7.38% over the forecast period; up from 3.96% during the review period (2013-2017). Timetric expects infrastructure construction market to register a forecast-period CAGR of 18.90% in nominal terms, driven by public and private sector investments in the country’s transport infrastructure. In March 2018, the government announced plans to spend KWD8.0 billion (USD 26.6 billion) on the development of new road projects in the country. In order to transform the country into a regional financial and cultural hub, as well as to reduce dependency on the oil sector, in 2017 the Kuwaiti government launched KNDP 2035. Under this plan, the government aims to increase the country’s revenue by four times, going from KWD13.2 billion (USD 43.6 billion) in 2017 to KWD50.0 billion (USD 164.0 billion) by 2035. It is focusing on the development of transport infrastructure, commercial buildings, industrial facilities, water distillation facilities and renewable energy infrastructure. Timetric expects energy and utilities construction market to register a forecast-period CAGR of 9.29% in nominal terms. Under the National Development Plan, the government plans to double the electricity production capacity of the country by 2030. Accordingly, it plans to invest in new power generation plants so as to increase the electricity production capacity from 15.0GW in 2017 to 32.0GW by 2030. The government is focusing on the development of healthcare infrastructure, in order to provide adequate medical support to all citizens and increase medical tourism. The government plans to spend KWD32.6 billion (USD 108.0 billion) on the development of new hospitals across the country by 2035. Accordingly, under the Healthcare Infrastructure Development program, the government will invest KWD2.2 billion (USD 7.3 billion) on the construction of new hospitals and healthcare centers across the country by 2020. The total construction project pipeline in Kuwait, as tracked by Construction Intelligence Center (CIC) and including all mega projects with a value above USD 25 million, stands at KWD71.5 billion (USD 237.2 billion). The pipeline comprises a high proportion of late-stage projects, with 61.4% of the pipeline by value in execution and 14.7% in the pre-execution stage as of May 2018. Historical (2013-2017) and forecast (2018-2022) valuations of the construction industry in Kuwait, featuring details of key growth drivers.